Our natural sinamay gift bags will make a special and unique gift! 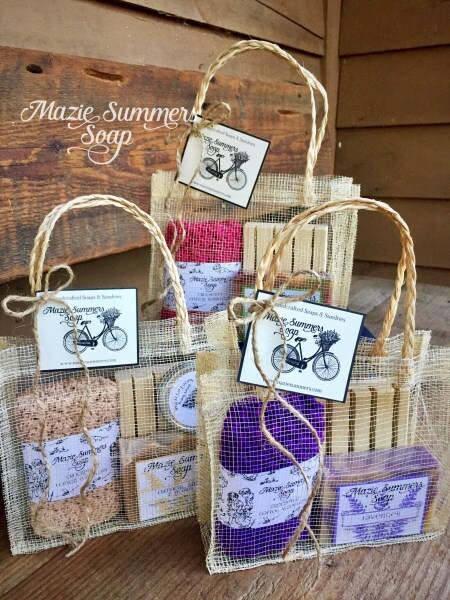 Each bag contains a handmade Mazie Summers Soap, 8 in. crocheted washcloth, and wooden soap deck. Need a more substantial gift? There's room to add more Mazie goodies like our lotion bar and peppermint lip balm!